You have been challenged to a showdown by Black Bart, one of the meanest desperadoes west of the Allegheny mountains. 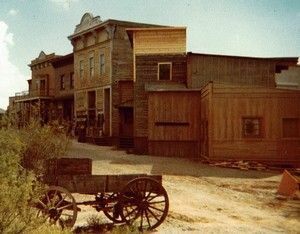 While you are walking down a dusty, deserted side street, Black Bart emerges from a saloon one hundred paces away. By agreement, you each have four cartridges in your six-guns. Your marksmanship equals his. At the start of the walk, neither of you can possibly hit the other, and at the end of the walk, neither can miss. The closer you get, the better your chances of hitting Bart, but he also has better chances of hitting you. What is your lucky number for today? What is your strategy? Make your choice above and click the continue button. How much did you run?